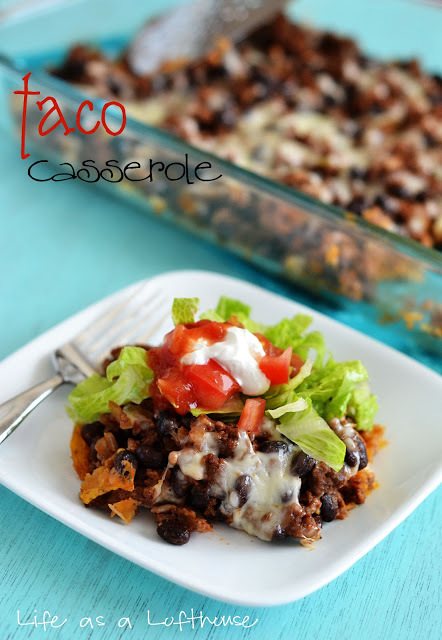 This Taco Casserole turned out SO GREAT! We absolutely loved it. Well as in, Kelsey and I. Emma won’t eat anything lately unless sugar is the main ingredient. UGH! I always get a little bummed when I make a dinner that turns out this delicious because Kale isnt here to enjoy it with us. With him working nights, it makes it tough. I think that a family sitting together around the dinner table, eating and conversating is one of the greatest joys in life. That’s why I cherish our weekends together so much! Okay, back to the recipe. Not only is it delish, but really simple. Score! In a large skillet, heat olive oil over medium heat. Add onion and saute for 5 minutes. 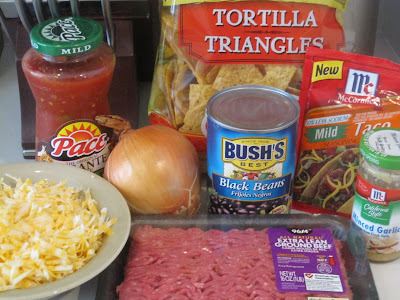 Add in garlic, ground beef and taco seasoning. Cook and crumble beef until it’s browned. Stir in black beans and salsa. Cook another 5 minutes or until heated through. 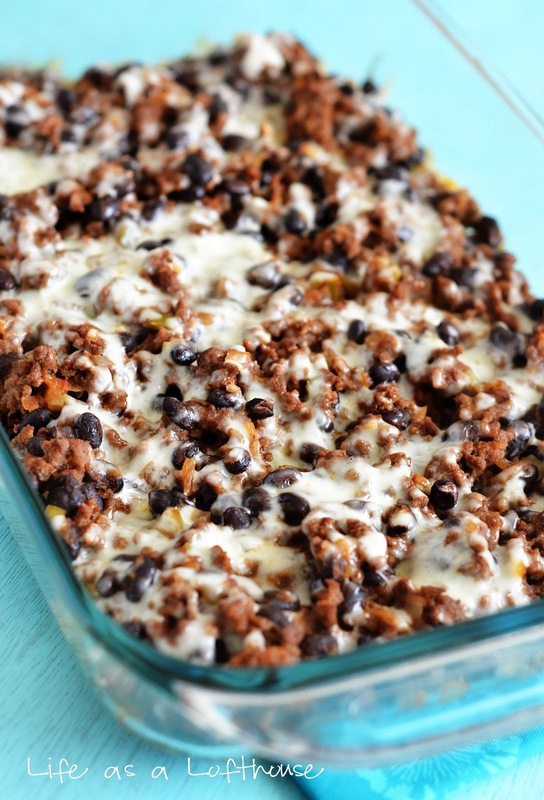 In a 9×13 baking dish, lay tortilla chips on the bottom. Gently press down on them to break them into bite-size pieces. Pour cooked meat mixture evenly over the top. Sprinkle evenly with shredded cheddar cheese. Bake, uncovered for 15-20 minutes, or until cheese is melted and bubbly. Remove from oven, and let stand 5 minutes before slicing. Top with favorite toppings! Mmmmm! Yum! You know I love me some Mexican too!!! This looks great! I may give this one a try, thanks! What great quick week night meal, Holly!!! Thank you for choosing a Lighter dish to share! Looks like a perfect easy dinner. Yum! This does sound good Holly! 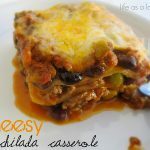 You had me at he word casserole…LOL. I know how the opposite work shift rotation goes! Lots of times Gene & I are high-fiving each other as he walks in the door and I walk out. I know you are really looking forward to your anniversary vacation!! Looks great! 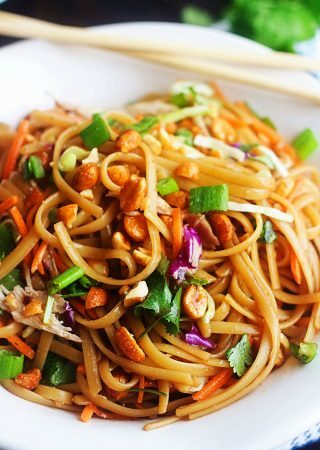 Usually when you see the word “light” in a dish title, it deters me, but this looks so good, I need to make it! 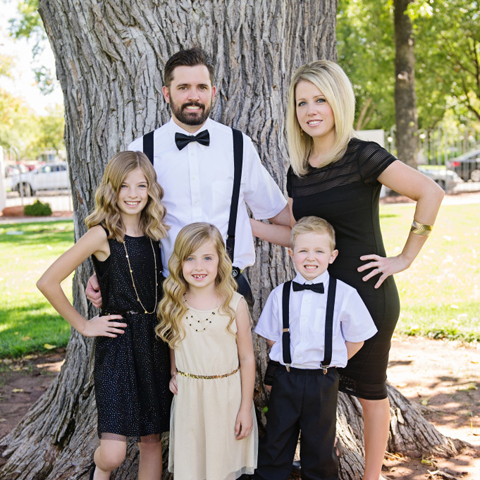 I agree – meals together as a family are really underrated. They’re so fun! This looks like a perfect dinner! I love that it’s healthy, too. oh this looks wonderful! i am totally going to try it and do a little repost! thanks for sharing! I make one very similar to this. My family loves it. Thanks for sharing yours. Your pictures are just great. Please stop by my blog and pick up your award! That looks like a great dinner. We’re huge fans of mexican food here,too. I agree with you that having family dinners together is awesome. I guess it is hard since it is an imperfect universe so sometimes we work different shifts, work late etc.. Anyway, thanks for the great recipe. I love the idea of using tortilla chips at the bottom! Gonna try this one for sure! 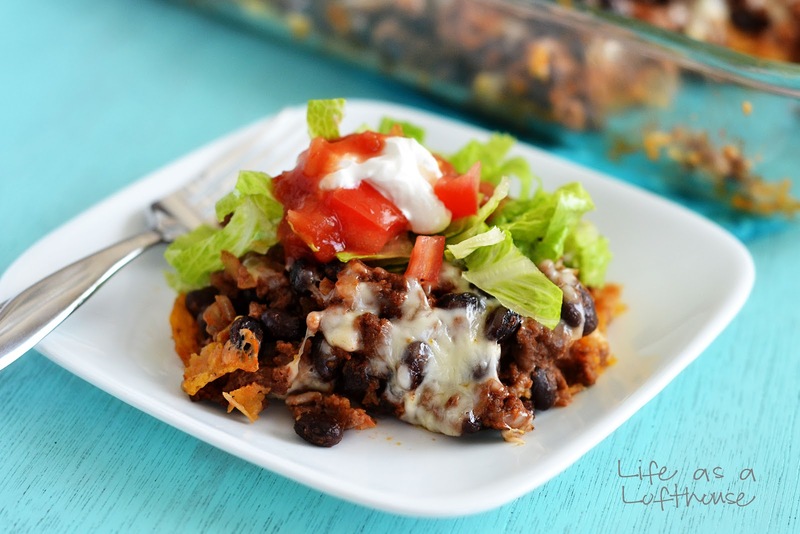 Definitely score because it’s healthy – it’s not often that you can have healthy Mexican! Looks like a perfect meal for Cinco de Mayo! Yum! Yum! 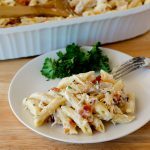 a wonderful quick dish..right up my alley! Thanks! Chips for dinner?! Yep, My boys would love this! Made this last night and it was a hit with the husband and the kids! I used fritos instead of tortilla ships and mixed in a bit of rotel instead of salsa. Since my kids are picky I made on side with just meat and cheese and the other with all the goodies. I wish people would stop posting how good a recipe sounds or the photos look… Of course they do!!! Why do so many people think they need to send those comments its ignorant. What we really want when reading comments… is you to post how it turned out after you’ve made the dish!! This was SO good! I make my own taco seasoning (1 1/2 tsp paprika, 1 tsp chili powder, 1/2 tsp oregano and 1/2 tsp salt) – otherwise followed the recipe to a T! 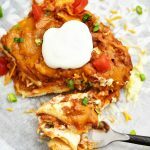 I have one picky eater – so I made a little extra meat and removed it from the pan before adding the salsa & beans – he just rolled it in flour tortillas for tacos! The rest of us (2 adults, one teen) gobbled it up! 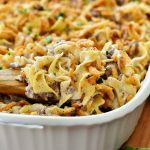 Would increase the recipe by 1/2 to have some leftovers! Thanks!!! 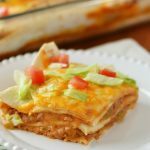 I make something similar…bottom layer crushed tortilla chips, layer of taco seasoned ground beef or turkey, a layer of Knorr taco rice, a layer of refried beans mixed with rotel tomatoes and cheese on top. Bake at 350 for 45 minutes-Yum! !